Tune-up your IT for smarter productivity, increased asset utilization and reduced operating costs with Smart IT’s Remote Server Monitoring and Preventative Maintenance service. Due to the critical nature of servers, it is required that someone constantly monitors the status of the managed servers. Smart IT’s monitoring services automates this tedious job for you and detects the server problems as soon as they occur. Smart IT provides the much needed visibility into the availability and performance of your servers and offers several features to solve the server management challenges. Virtualization capabilities that significantly adds to the overall efficiency of your IT environment. 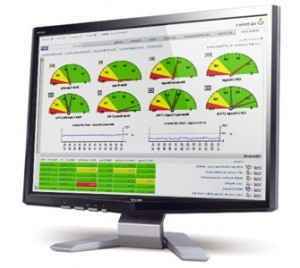 Assured server uptime and improved reliability & stability. Analyze and monitor the server’s hardware components. Just call us at 0330 223 3525 and let us support you to ensure that your servers are in best of their health and are running on optimum performance.